It must be time for a wine post. But this will be unlike any post you have ever read…on this blog. There is nothing sexier than a delicious red wine. All you fellow wine lovers know that feeling you get when you have the first sip of an incredible wine. The flavor dancing in your mouth; your mood immediately lifts; your mind relaxes; and the possibilities of the world seem endless. As I’ve gotten older, I much prefer a few glasses of fine wine over any other adult beverage. Certain songs make me think of those nights when the wine haze begins to take over. The wine haze, of course, is unlike any other type of alcohol induced state of mind. That moment when you are just past a buzz but not quite drunk. That high that you can only feel when you finish your second or third glass of wine. That state of bliss when you realize that this night, with this wine, may be your best yet. One of those mood-setting magical songs is by the band, The Airborne Toxic Event, and the song is called, “Sometime Around Midnight.” If you have never heard the song, I suggest you listen. Have a glass or two and listen. Tonight’s wine post comes complete with a recommendation. 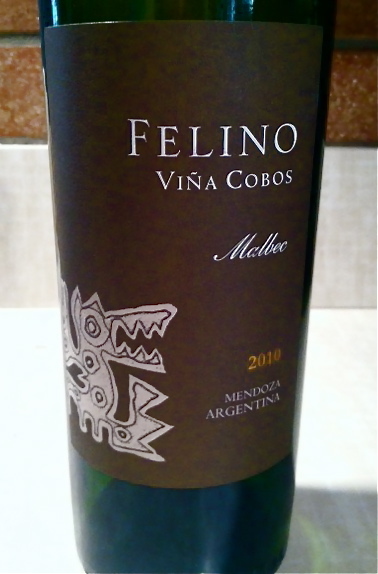 A Malbec called Felino. This wine is so delicious. You MUST try it at some point. Drink this wine and listen to The Airborne Toxic Event, or Muse, or Snow Patrol. Feel the wine and the lyrics. Good choice; music and wine! Going through some reblogs while I have been focusing on writing my novel. It’s Friday! Ready for the weekend wine haze?